IXL is one of the first names in homeschooling excellence. Long known for its math practice drills, it has recently added language arts practice drills for grades 2-4 as well. IXL offers state standards and common core aligned math practice skills for grades K-12, including Algebra I, Geometry, and Algebra II. Pre-Calculus is coming soon. Each grade level has a varying number of skills, with grades 2-12 all having over 200 skills included. 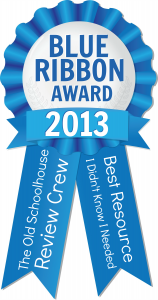 Students work through skills systematically to achieve mastery, earning rewards and achievements along the way. Parents are emailed detailed reports containing their children’s progress every week. Although IXL has always been known for its math practice, it has recently introduced a new language arts offering for grades 2-4, with additional grades to come. IXL’s language arts practice follows the same general format as its math practice. There are currently 57 skills for 2nd grade, 70 skills for 3rd grade, and 71 skills for 4th grade. Questions asked gradually increase in difficulty as students answer more and more correctly. A subscription to IXL is $9.95 for math only, $9.95 for language arts only, or $15.95 a month for both. If you purchase a yearly subscription it is $79.00 for either math or language arts, and $129.00 a year for both subjects. Each additional child is only $2 per month, or $20 per year. 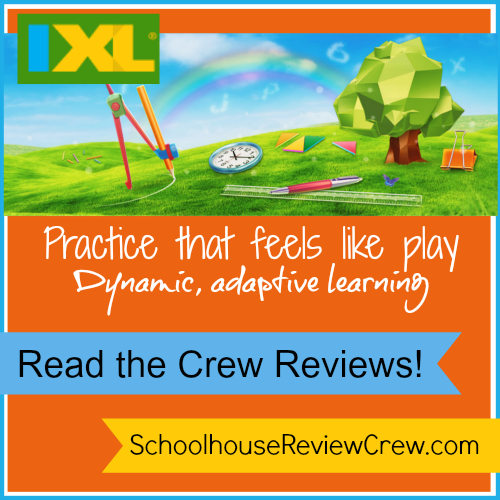 Crew members with children of all ages were given one year subscriptions to IXL and have been busily using them, so click the graphic to read all of their great reviews!